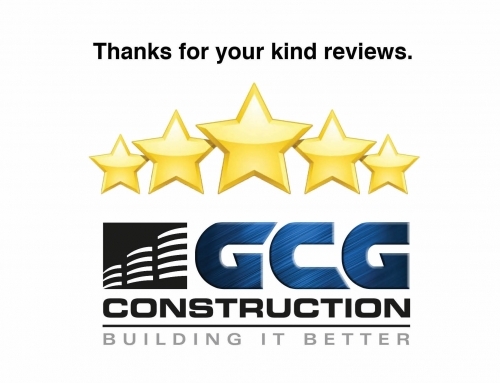 Ft. Myers based general contractor GCG Construction responded to Key Largo in the days after Hurricane Irma to lead the charge in restoring MarineMax Ocean Reef with tools, generators, water, fuel, supplies and a team of carpenters led by GCG superintendent, Derrick Perry. 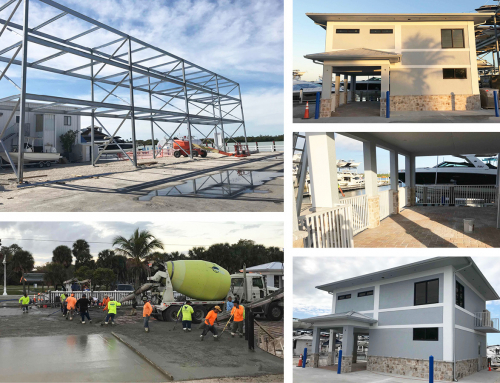 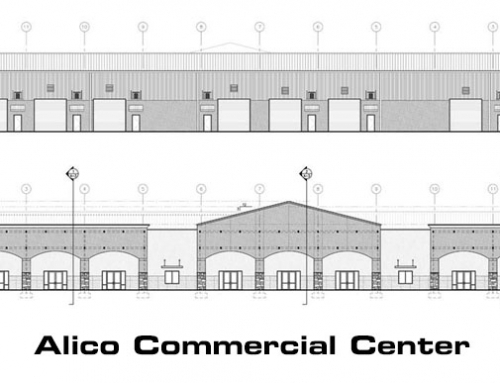 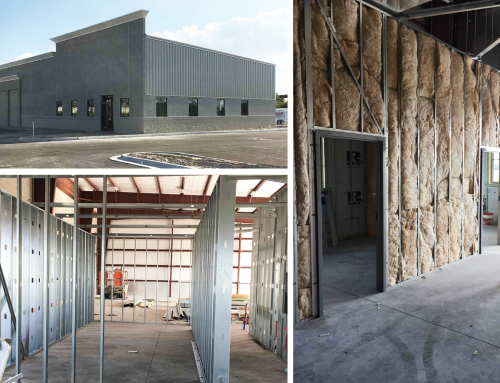 GCG immediately began remediation of the marina and the inventive construction of a temporary facility to house sales, service, parts, a tackle shop, and marine store allowing MarineMax to resume operations. 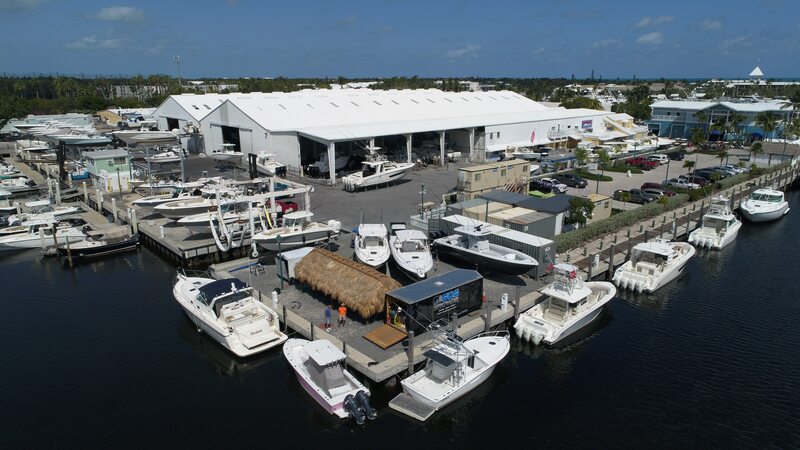 MarineMax and surrounding businesses in the fishing village of the private club underwent substantial flooding as part of the devastating effects of Irma. 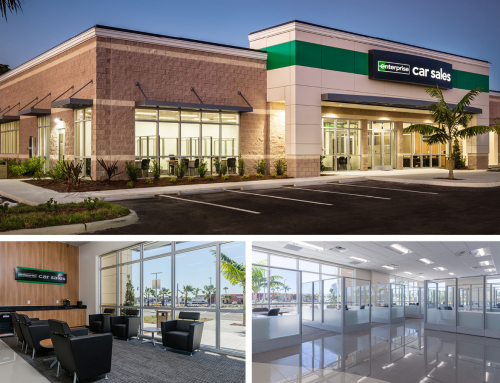 The spaces have been completely updated and renovated and are nearly ready for the anxious community and staff to resume life as normal after the storm. 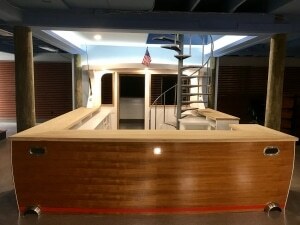 Custom sales counter resembles a classic sport fishing with rod holders, teak trim and countertops and lapstrake hull. 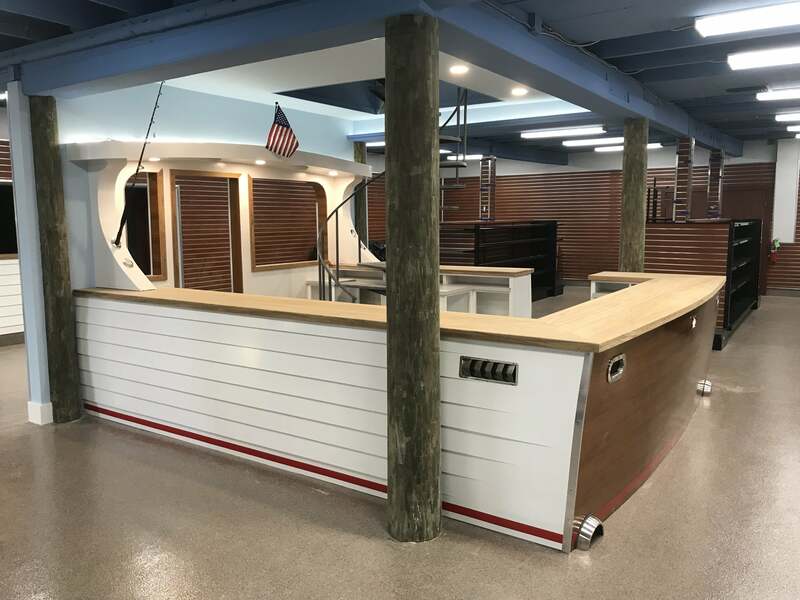 A highlight to the many restorations and improvements is the new sales counter being built to resemble a classic sport fishing boat with rod holders, teak trim and countertops, lapstrake hull and it will even highlight MarineMax’s stock exchange code HzO on its high gloss teak transom.